Home › Promotions › Hear that? That’s financially sound. Take advantage of this limited-time offer with rates as low as 2.99% APR* on new H-D® Touring and Softail® models. Hear that? That’s financially sound. Take advantage of this limited-time offer with rates as low as 2.99% APR* on new H-D® Touring and Softail® models. 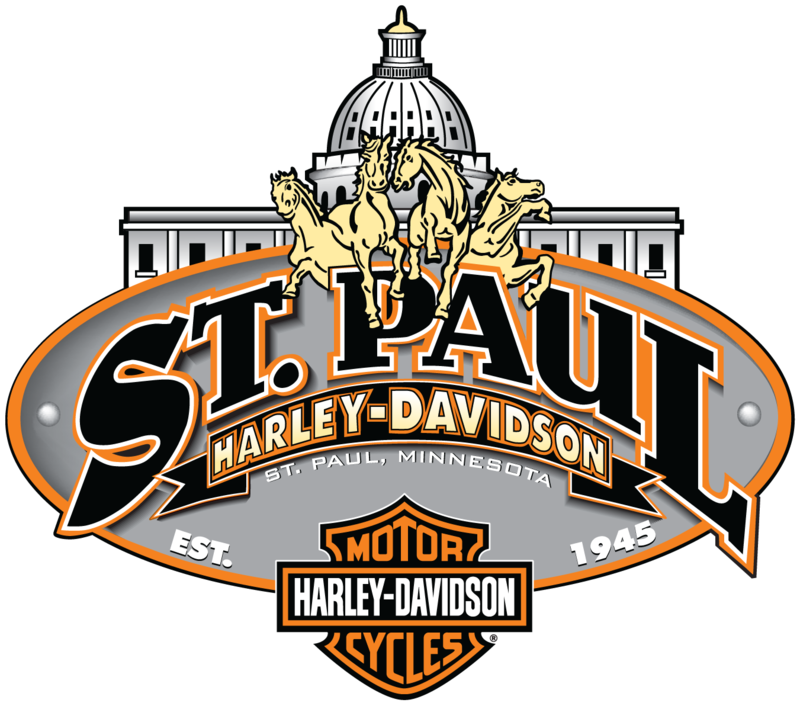 *Financing Offer available only on new Harley-Davidson® Touring and Softail® motorcycle models financed through Eaglemark Savings Bank and is subject to credit approval. Not all applicants will qualify as the Annual Percentage Rate (APR) will varybased on the applicant’s past credit performance and the term of the loan. Financing offer is available only for up to a 60 month term. For example, a 2019 Road Glide® Special motorcycle in Billiard Blue with an MSRP of $27,989, no down payment and amount financed of $27,989, 60 month repayment term, and 2.99% APR results in monthly payments of $502.80. For example, a 2019 Street Glide® Special motorcycle in Barracuda Silver with an MSRP of $27,589, no down payment and amount financed of $27,589, 60 month repayment term, and 2.99% APR results in monthly payments of $495.62. 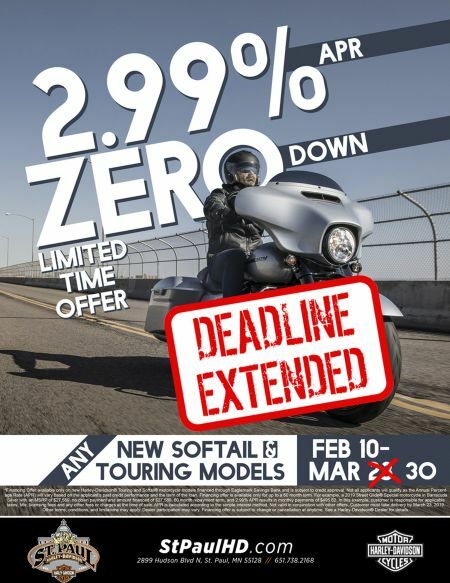 For example, a 2019 Road King® Special motorcycle in Twisted Cherry with an MSRP of $23,539, no down payment and amount financed of $23,539, 60 month repayment term, and 2.99% APR results in monthly payments of $422.86. In these examples, customer is responsible for applicable taxes, title, licensing fees and any other fees or charges at the time of sale. APR is calculated according to the simple interest method. Not valid in conjunction with other offers. Customer must take delivery by March 30, 2019. Other terms, conditions, and limitations may apply. Dealer participation may vary. Financing offer is subject to change or cancellation at anytime. See a Harley-Davidson® Dealer for details.